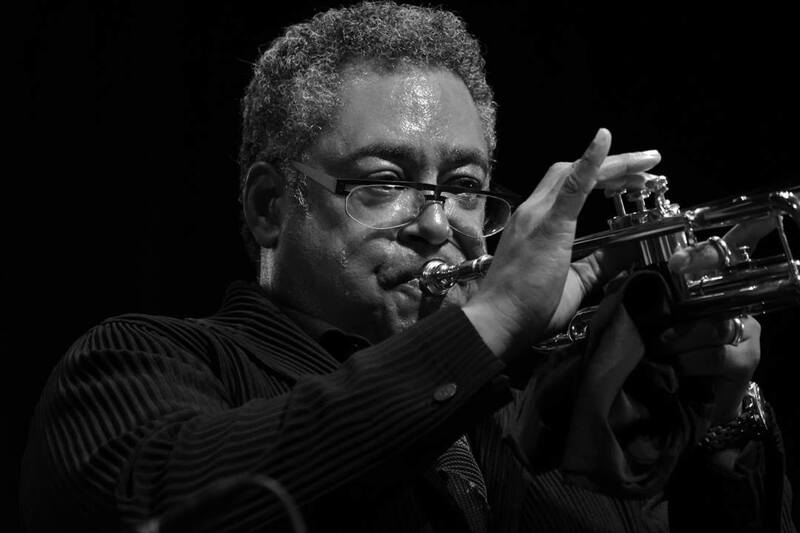 led by trumpeter Jon Faddis, making big fun from his mentor Dizzy Gillespie‘s fresh-as-fire arrangements dating 60 to 70 years back. (Gotta wonder what a music fan raised on the past decades’ pop, country and rap but who never heard anything like this would make of the power of 16 players so synced in rhythm, tune and spirit, partying with sound). 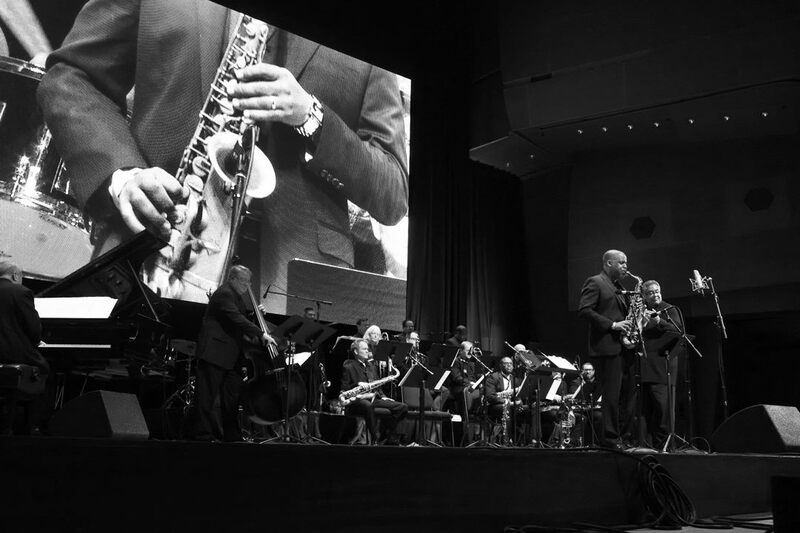 Lauren Deutsch’s photos depict that set splendidly — (and thanks in large part to her work over the past 21 years as executive director of the Jazz Institute of Chicago, the fest retains its essential community DNA). To expand: The huge screen backdrop is good for attendees in the grassy field and back rows of seats, but can dwarf those onstage. Faddis was able to make this presentation, lasting more than an hour, seem intimate and simultaneously made for tv (astute camera work from the City’s staffers helped). 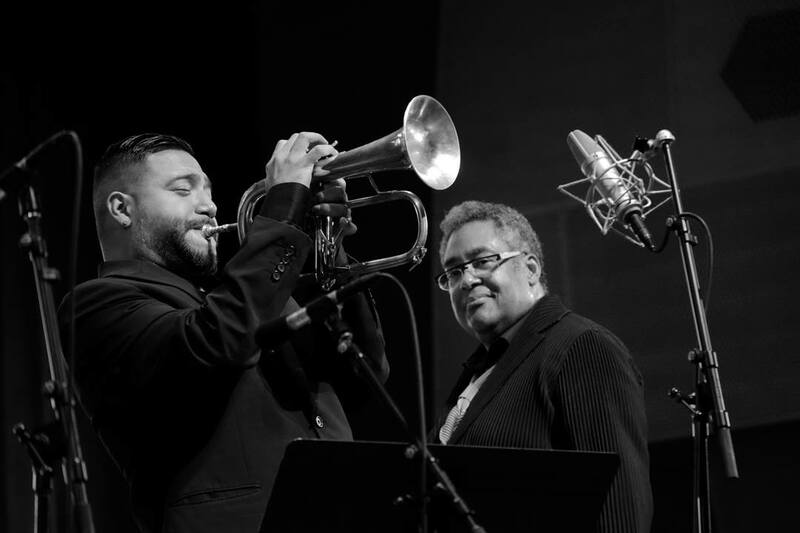 A large man in dark clothes, Jon was at ease talking with his horn under his arm, and equally so lifting it to pierce the limits of hearing at key points in the hard-driving, wildly colorful compositions from the era when swing bands went bebop over Afro-Cuban beats. Gillespie was a pioneer of drawing on Afro-Cuban, Caribbean and South American elements and on the flagwaver “Manteca” Faddis’ silvery upper register is so amazing we might forget what a swift and sensitively musical mind he has. But like Gillespie, that’s the real crux of his creativity, his high notes and wit, willingness to be silly and ability to spontaneously inspire a dozen or so virtuosi simply aspects of it. 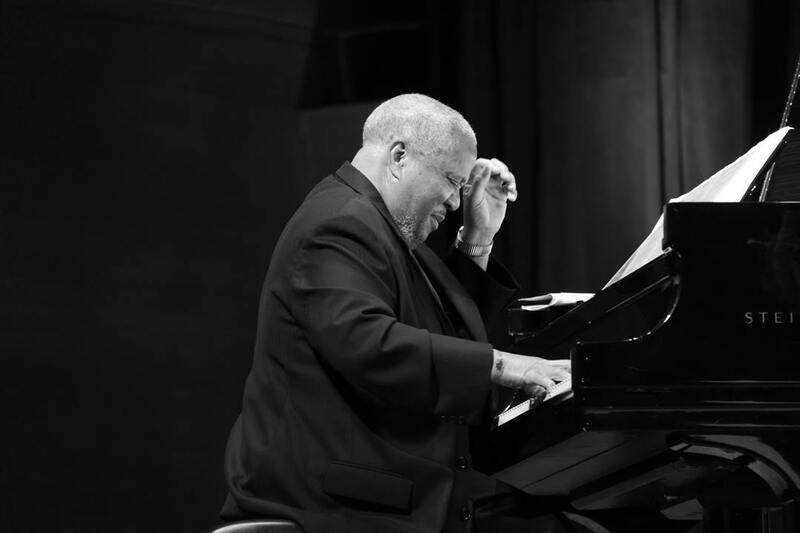 To me, Faddis’ best and most personal playing was his all-but-recklessly fast, nimble, nuanced, shapely, melodically developed solo on “Tanga,” based on one of Gillespie’s later career combo recordings. 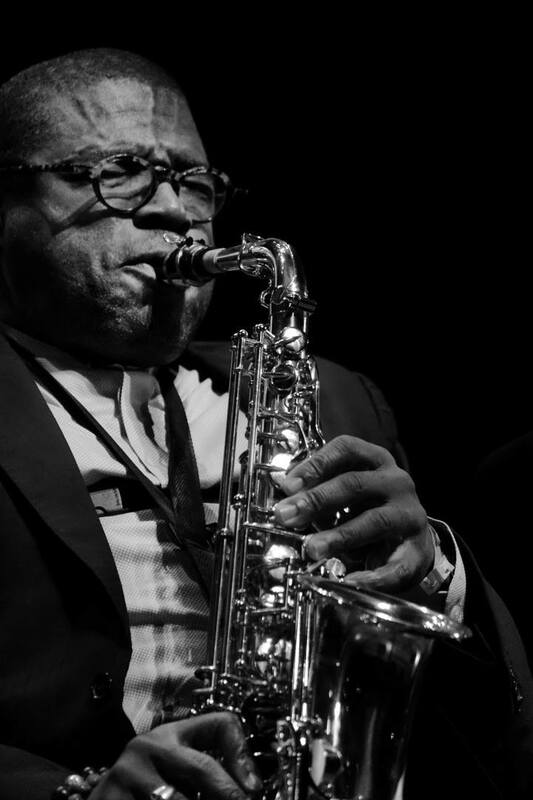 was a standout, tearing through “Things to Come,” Gillespie’s warning from 1946, in alto sax language that took the freedoms claimed by of Charlie Parker through the changes wrought by such as Coltrane, Pharoah Sanders and Albert Ayler. Chicago tenor saxophonist Pat Mallinger of Sabretooth, the hardbitten, longtime midnight Saturday to 4 am Sunday attraction at the Green Mill, showed his stuff, as did trumpeter Pharez Whitted. The rhythm section, however, was this orchestra’s solid core: Dr. Todd Coolman, understated but unwavering bassist and professor (former director) of jazz studies at Purchase College (SUNY), where Faddis also teaches; drummer Ignacio Berroa, who arrived in the US from his native Havana as a refugee/alien during the 1981 Mariel boatlift, was hired by Gillespie for his quartet and stayed until the trumpeter’s death in ’93, plus Chicago pianist Willie Pickens, at age 86 undiminished in ideas and agility. Just days earlier I’d heard Pickens in command of entirely different repertoire, accompanying Gary Bartz. He sweeps stylistically from Bud Powell’s fast single note lines to the more spacious, all-octaves approach of McCoy Tyner, and his infectious momentum connected with the clavé rhythm of “Manteca” irresistibly. This all made for a thrilling first night for a jazz festival, and set a high bar for all the acts who followed.